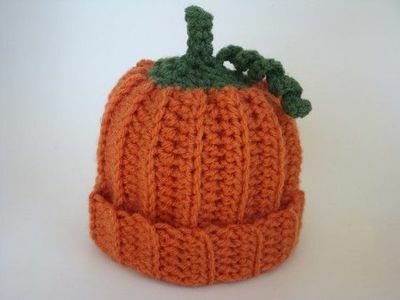 Do you have any lil' pumpkins in your life that need an adorable seasonal hat? I've rounded up three very cute tutorials that I want to try out this weekend. All are shown in the infant size, but can be easily modified to make one for a child or tween. I was really drawn to these two crocheted hats because they both use a crochet pattern I have not done before. 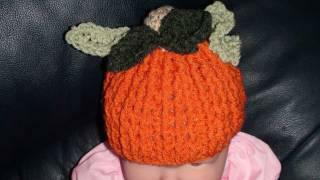 I like the way both techniques create a raised ridge that gives the hat a definite pumpkin look. And do not fret if you are left handed. She's a genius and has a tutorial for you too! She also has a written pattern here. The second pattern also makes a cute hat. This is a written pattern for those of you who like following patterns instead. The top has a thinner stem and adorable curly cue vine for added fun. 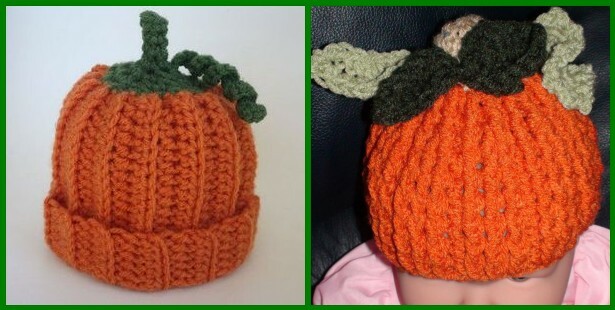 If you do not crochet but STILL really want to make a cutie patootie pumpkin hat for your little one, feel free to try my round loom hat tutorial below. Do not use the very small blue loom (only for dolls and preemies). I show the blue loom in the tutorial but the hat technique will work for any sized loom in the set. I would start with the red loom (for small kids age 2-5) or the green (tweens and adults). I would recommend using double yarn - that's 2 skeins of redheart yarn at the same time, in the color orange, for thickness and warmth. You just hold two strands at the same time as you wrap the "e" wrap. But for the topper, instead of a pompom, I would recommend some of Teresa's leaves from her you tube video, and maybe a curly cue, which I will teach you very soon. I can't wait to try these little guys out. They will make for some lovely photo ops for this upcoming fall season. You could also make one red for an apple hat, or blue for a blueberry, whatever round fruit you desire.